Yes, it sounds like a funny word … but really its a funny clock. When the alarm goes off, Clocky will wait for you to get up. 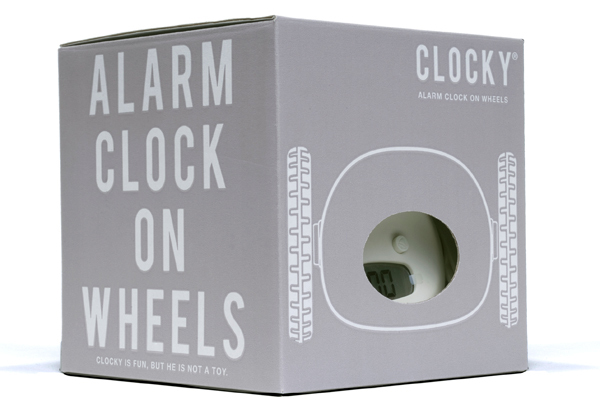 But if you snooze, Clocky will jump off of your nightstand (from 3 feet), and run around your room, and hide and ring again, determined to get you up on time. You have to go find it and switch it off. Hip and innovative, Its wheely effective.